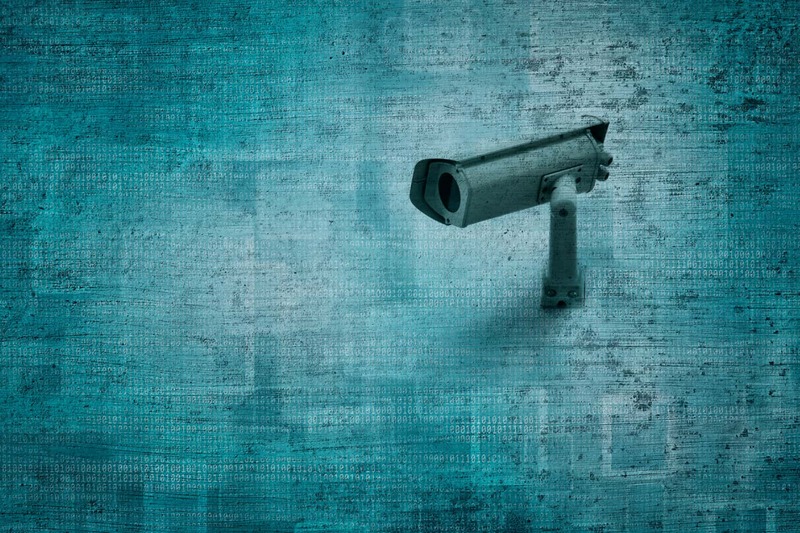 Promoting itself specifically as a countermeasure to government and corporate surveillance, Promether might be the blockchain project most intent on specifically taking down Big Brother. What Promether offers is a suite of open-source tools to allow anyone the ability to build scalable web applications, whether they’re social networks, financial services, or anything else. The user on the receiving end has access to systems that are transparent in their implementation so that systems of privacy can be verified. Users who are satisfied that their needs for security and anonymity are being met reward the developers through the token economy, creating a symbiotic relationship that benefits all participants. The essential problem Promether solves is that any large scale service requires a great deal of resources to become established, and this concentration of resources creates an asymmetry of power between the people who run them and the average user. By separating security and scalability from the application, Promether allows applications to be developed without regard for anyone needing to put excessive trust in the developer. All applications are distributed on the Promether blockchain, and storage and network capacity is provided by people selling capacity for PYRO, the Promether token. In this way, a truly decentralized network framework is built in which no one organization coalesces power that can be abused. While most blockchains are by their nature scalable and decentralized, they aren’t necessarily private in any sense. Most have a public ledger, and transactions are “pseudo-anonymous,” which means participants are given codes that obscure their identities, but only so far as anyone doesn’t link that code with an individual. Once you can link a transaction with a person, it’s possible to trace the past and future of the tokens involved, as well as possibly see other activities by the same user. True anonymity would obfuscate the link between transactions and the users making them so that no history or connections can be tracked, and that’s what Enigma provides. Using a “secret contract” system developed at MIT by one of the founders, contract input data is split among many nodes before it reaches any one node for execution. In this way, nodes do not know key details about the sources of the data they are working on. Enigma hopes to be the foundation for decentralized apps that can serve a multitude of purposes, but with one thing in common, true privacy and secrecy. One of the main problems with centralized services is censorship. It’s not just illegal content that a service does not want to take responsibility for hosting that might be denied to viewers. Companies are often caught removing content because of overly aggressive and poorly thought-out copyright protection, or because the content does not align with the image they want to present as a brand. And that’s in the best case of a democratic society where the government is not pressuring companies to suppress ideas that don’t toe the party line. Substratum offers a decentralized network solution where people can store data of any kind, and serves it to recipients without any censorship. Anyone can offer storage space with excess computing power they may have, and anyone wanting to store data can pay for it using tokens called Substrate and Atoms, analogous to dollars and cents. Users can access content on the Substratum network in any browser, making their experience of secure, uncensored media seamless with the current web. Currently their service is in an early open beta stage for anyone to test. Similar to Substratum, Elastos wants to create a decentralized web. The main difference is in the structure, where instead of receiving content as a web page, each “site” on the Elastos network is its own application. People don’t merely download data the way they do now. Similar to Java’s runtime environment, Elastos dapps run locally on the user’s local computer, whatever operating system they may be using, with the Elastos environment running on top. This approach allows Elastos to overcome some of the speed problems faced by most dapps that are tied to running entirely on the blockchain. By being able to run locally, the dapps are efficient, but by having their code stored in a distributed system, it’s possible to ensure their security and stability. In July, DID, the Elastos decentralized ID, went live, so you can start to experiment with it. In August, they will be open sourcing some of their code, so if you’re adept at examining code, you can have a look under the hood to verify their processes. To learn more about the project, read our guide to Elastos. SelfKey is focused on keeping your identity safe from potential abuse. You register your current identification documents in the SelfKey Identity Wallet by verifying them with an authorized organization. For example, you would take your passport to a government office, who would verify that it is a valid passport and enter that verification into the SelfKey wallet. Once that verification is registered, then the original passport is not needed anymore. Whenever you need to prove that you have a valid passport, a user can present their SelfKey wallet, which can be used to sign over a digital copy without anyone else on the network being able to see the content of that transaction. In addition, SelfKey also offers a verifiable claims protocol, which means in some situations a user could potentially show a digital marker that shows they are in possession of valid identification without having to share the actual source identification itself, creating even more options for privacy and control. The advantage to this is that you never have to show your original passport to companies or even other governments. They never see the passport itself; they only see the data that lets them know that you are validated. This means even if their organization is hacked, or if they are an institution you don’t trust, it doesn’t matter, because they will never possess any data they can use against you. In a world where only you and the entity that issued you a document ever see it, identity theft becomes almost impossible. Even with organizations that you don’t expect to abuse your information, a user’s level of control is much higher than any system up to now has been able to offer. You become the one who decides how your identity is used in all circumstances. Learn more about SelfKey and what it aims to achieve in our “What is SelfKey” guide. No list of privacy-centered blockchains would be complete without including a privacy coin like Monero. Monero is one of the more established blockchains, and from the outset it was designed to solve privacy problems inherent in Bitcoin. While Bitcoin tried to create a currency without government oversight, it was still possible for anyone, including governments, to view the public ledger that underpinned it all, tracking coins as they moved through the system. This could possibly reveal people’s activities, in turn making it possible to extrapolate their identities. Monero has a built-in system where transactions are mixed together, so that all activity is anonymous. What this means in practice is similar to if everyone in a group of people exchanging dollar bills all put them in a pile in the middle of all of them, shuffled those bills, and then they each withdrew the money they expected. All the people paying into the pile put in the amount they need, and all the people pulling money out take the amount they wanted, so everything balances. But, in the process, it’s impossible to know which bills came from which person in the group, so no history of the money can be traced by any third party watching the transactions. In this way, Monero creates a truly anonymous currency, creating greater privacy from prying eyes of governments and other organizations. Read our guide to Monero to learn more about how it works. There are a lot of blockchain projects trying to find ways to empower people and reduce the power that governments and corporations have over our daily lives. One can only expect that the entities that currently benefit from their position will resist this transfer of power, and conspiracy theories abound as to how far they will go. The main advantage that blockchain technology has going for it is that a technology can’t be uninvented, and now that the genie is out of the bottle, the cost of the draconian measures it would take to truly put a halt to progress might be higher than any organization can or will go. At least, in the countries that promote themselves as free democracies, it will be hard to simultaneously maintain that image while working against blockchain technologies. Which blockchains and cryptocurrencies will ultimately be the ones that lead the charge toward greater democracy, privacy, and freedom from censorship remains to be seen. In any case, the real winners will be the users, with greater access to data and control over their identity, privacy, and data than has ever existed before in history. Good article and insight, but you forgot Nexus. I think they should have been in the above list. Cheers!